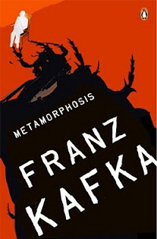 Franz Kafka’s Metamorphosis was a seminal work in modern literature which toyed with reality and perception. The novella begins with a Central European salesman named Gregor Samsa awaking in bed. His first realization is that he has transformed into a giant cockroach. Gregor becomes quickly and oddly accustomed to his new state and transitions into reflections about the dreariness of his life as a traveling salesman. The Metamorphosis is highly regarded as one of the most widely read and influential works of twentieth-century fiction. Kafka’s work is so influential and powerful because it is a representation of the struggle of modern day man.